Moab is next week! Let’s check out footage from the past. 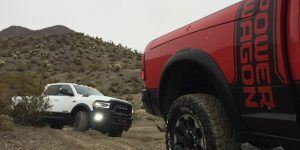 With Easter Jeep Safari at Moab just around the corner, we thought it’d be a great time to hit up the YouTubes and find some action from past years. 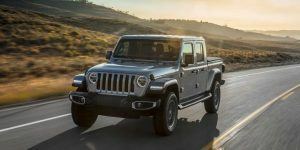 Not just Jeeps, of course, but Land Rovers and other rigs, too. 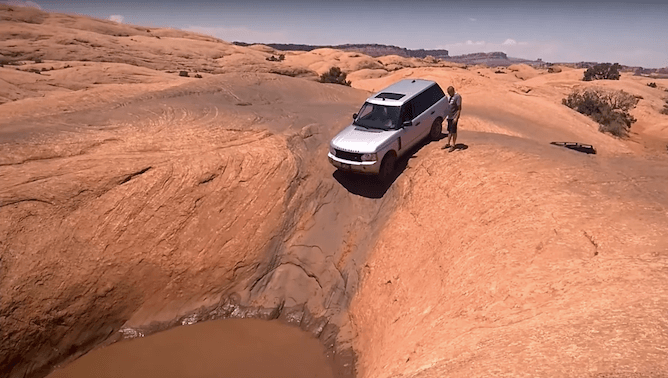 Check this footage from a wheeler who brought their 2008 Range Rover out for a bit of fun! All hands leave the trail head and make their way to a couple of well known features of the Hell’s Revenge trail, including a dandy hot tub style obstacle called the Car Wash. It is always great to see owners of these big-buck rigs using them in the environment for which they were designed. After all, most of them end up either on Rodeo Drive or in the drop-off lane at school. Seeing a Rangey balance itself on two wheels as it gingerly makes its way into (and out of!) an enormous bowl is very satisfying. Fast forward to 6:10 to see that particular bit of action. It wasn’t just the Range Rover on this trip, as a few other machines from the LR family make an appearance toward the end of the shot. 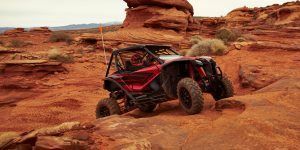 Finesse on the throttle and brake pedals is the key to getting these (or any machines) up and over the obstacles shown in this part of the world. 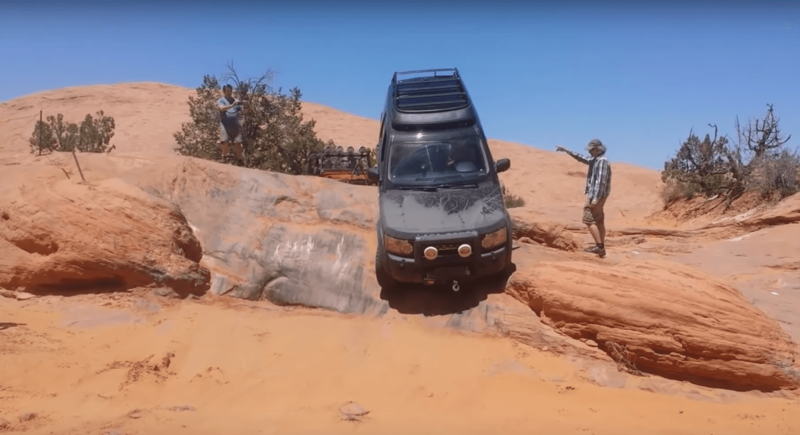 Moab has some awesome wheeling opportunities and Hell’s Revenge is extremely popular. Stretching about 6.5 miles, the trail peaks at an elevation of about 4700ft, so make sure to pace yourself and your rig if you decide to give it a shot. And when you do, be sure to post the video!